Straight out of the Theater of the Bizarre, it was an all-to-typical Florida-Vanderbilt game. A way-too-early start (11:00 am local time), a bad Vandy team, and Florida coming off of 3 straight big SEC games……all leading to a somnambulant first 25 minutes of play until the Gators awoke, with the help of some really childish actions by the Vandy coaching staff that fired up the entire team……and coaching staff. As much as Dan Mullen preached all week about coming out focused and playing hard, the team only got it half right. Stupid penalties, undisciplined play by the defense, and two terrible turnovers by Franks allowed the Commodores to race out to a 21-3 lead. From there on out the Gators dominated and won, but it wasn’t comfortable until the last score to ice the game. The offense came out sharply, following up a 3-and-out by the defense with an efficient drive all the way to the Vandy 5-yard line, whereupon Mullen made a huge mistake in not simply running the ball on 2nd and 1 and calling for a slant pass that was tipped and intercepted. Maybe that stunned the defense enough for them to subsequently allow Vandy their longest scoring drive in 15 years. The offense responded with another good drive, but some inaccurate passes led to a punt. Then, the defense simply played undisciplined football, allowing an easy screen pass to go for a 75-yard TD. Not to be outdone, Franks led the offense back down the field, only to not protect the football on a designed run and fumbling, giving Vandy possession in the Gator 40-yard line. The defense continued their lackadaisical play, letting the ‘Dores march to a 3rd TD. Then it became all too real for Florida – they were in serious trouble, and it was either throw away all the good that was accomplished the previous 3 weeks, or toughen up and go to work. In a testament to the staff and the buy-in of this year’s players, the Gators did just that. The offense came back with an important TD drive, the defense got a quick 3-and-out, and then the real run began. On the punt return James Houston was ejected for a peelback block on a defenseless player (questionable – but OK), but then the Vandy coaching staff, while out on the field to check on the injured player, got into a shouting match with the Gator staff, which caused both benches to clear and for both teams to get an unsportsmanlike-conduct penalty. This activated an obscure rule that if any player on either team already had a similar penalty earlier in the game, this would count as their second offense and cause an automatic ejection – goodbye Vosean Joseph (who really did it to himself with an egregious roughing penalty that helped Vandy score their second TD). After losing good field position due to the penalties, Franks hit Perine with a screen pass that he almost took to the house. This gave Florida a FG at the end of the half that made it a one score game, and provided all the emotional momentum the team needed to roll in the second half. As soon as the teams returned to the field for the 3rd quarter, it was obvious that the Gators were ready to play. The offense continued to run the ball effectively with Perine and Scarlett, the quick WR screens were getting chunks of yards, and Franks settled down and didn’t turn the ball over, allowing the skill players to do work. After cutting the lead to 21-20 and forcing Vandy to punt, the offense landed the big body blow with Scarlett’s TD run to take the lead, which the Gators would not relinquish. The only real scare was when Pierce fumbled in Gator territory, but the defense held the Commodores to a FG to keep the lead. The Gators then drove for another TD to effectively close out the game. The offense wound up with close to 600 yards and two 100-yard rushers. The downfield passing game is still not clicking, as the only pass TD more than 5 yards beyond the LOS was the slant to Jefferson that he housed. Franks has to improve his accuracy on throws more than 10 yards downfield, and actually allow his receivers the chance to make some 50/50 catches. The defense tightened up the run gaps, but had chances for interceptions that they didn’t capitalize on that enabled Vandy to extend drives and get 2 FGs in the second half to keep the game close. In retrospect this game could be a valuable teaching moment for Mullen and the staff, but also a confidence boost for the players. They now see that they can’t slip into their early-season bad habits, which actually cost them the Kentucky game. But they also see that the staff is actually coaching them up to be a good team, and that they can do some great things IF they are focused and disciplined. The bye week comes at a good time, to allow the team to rest up both physically and emotionally for a critical 3-week stretch that will determine how good or average the season eventually becomes. I’ll be back next week with my preview of the Georgia game. Go Gators! Florida reawakened the Swamp with it’s most important win in 3 years, outlasting LSU in what has become a typical close battle between the Gators and Tigers. This was no cheap victory – this came against a tough and well-coached team that came in with a solid resume and playing with confidence. Hopefully this win resonates with not just the fan base, but with recruits as well – showing that the foundation is being laid for a bright future after the darkness of the Misschump and Swamp Donkey eras. To win a game like this all 3 phases of the team have to play well (and they did), but I have to give the edge to the defense. After giving up a quick and shockingly easy TD drive to open the game, the defense dug in and ramped up it’s intensity for the rest of the afternoon. Other than that first drive and then the two big runs allowed on LSU’s last scoring drive in the 4th quarter, Florida controlled the action for most of the game. Tackling was the best it’s been all season, with defenders making plays in space all over the field. The D-line did get gashed for some long runs, but held it’s own against a quality O-line while proving it is one of the elite pass-rushing units in the country. Polite, Zuniga, and Jefferson harassed Joe Burrow all game long and came up with 5 sacks and some key holding calls on the Tigers. The tackle rotation still has some issues with more physical teams, and will have to find ways to counter that with slants and simply tougher play. The LB corps had by far it’s best day under the new staff. Joseph had his best game as a Gator with 14 tackles, 3.5 for loss, while Reese was filling gaps inside against a tough LSU running game. The run fits continue to improve, and there were better pursuit angles on the edges. The secondary had a good day overall, highlighted by Stewart’s pick-6 that iced the win. LSU rarely challenged CJH, preferring to pick on McWilliams whenever he was in the game, and also going after Dean. These guys have to pick up their game going forward, as opponents will continue to attack them until they prove they can cover. Finally, CGJ had a career day, directing the secondary while flying around and making plays in the backfield, against screens, and even in coverage. When the secondary looks at the film, they will see some areas for improvement. The Tigers had some open WRs on their last two possessions, even against nickel and dime looks, but fortunately there were some key drops that thwarted those drives. Improvement, but still work to do. Florida’s offense was a mixed bag – either very good or very bad. 4 scoring drives, including the go-ahead TD after LSU took the lead, mixed in with 7 drives of 6 plays or less, including 5 3-and-outs. While Franks and the O-line had their struggles and ugly moments, at least they were opportunistic. These guys would have folded under the previous staff, but are developing the mental toughness to push through difficult circumstances. The run blocking is noticeably improved when Heggie is in the game at guard, and it’s becoming obvious that when the Gators need important yards they run to the right behind him and Taylor. The running game came through to provide balance, and gained 2 critical first downs after being pinned down at the 3-yard line late in the game. This allowed the punt team flip the field and make LSU put a long drive together to try and get in position for a winning FG. Perine scored 2 TDs and had some big runs off of the speed option, while Scarlett got the tough yards in close quarters in the 4th quarter. The WRs made some contested catches, battling against an excellent LSU secondary. There wasn’t much separation, so coming down with some 50/50 balls was key. I was disappointed that the RBs weren’t included in the passing game. Franks cannot afford to repeat his terrible decision-making in throwing the end zone interception early in the 3rd quarter that changed the complexion of the game. Overall, the offense continues to make incremental progress, which is a good sign. Finally, Mullen has shown an excellent touch in play-calling in the red zone, coming up with plays that are resulting in TDs instead of FGs. The special teams were again solid. Townsend was able to pin down the Tigers with some great punts, but struggled when the tried the rugby-style kicks – he needs to shelve that and simply kick in rhythm. McPherson had no FG opportunities, but only had one kickoff returned – after an unsportsmanlike conduct penalty on Stewart’s pick-6 – but even then his kick was deep enough to force LSU to have to convert on a long drive. Next up is Vanderbilt. The Gators travel to Music City on a roll, and hopefully continue to show improvement and not rest on their recent success. The Commodores are struggling right now, and coming off of a beatdown at Georgia. Their offense has been mostly one-dimensional this year, relying on the passing of Kyle Shurmur to WR Kilija Lipscomb. As long as the Gator defense doesn’t slip back into bad habits against the run, they should be able to force Vandy to throw and continue their sack barrage. Shurmur is a big QB and hard to bring down, but if the defense can get some hits on him early, his accuracy will fall dramatically and give the Gator offense more possessions. Florida’s D-line should have a decided advantage. Vandy’s defense has been weak against the run, so I’m expecting a lot of carries for Scarlett and Perine. Pierce should get some as well, as Mullen went with his experienced RBs against LSU for pass pro. The Commodore secondary is nothing like LSU’s, so the short passes to the WRs should be more available to take pressure off of Franks. There will be opportunities for some big plays if the O-line continues to improve and Franks makes the proper reads. He has to improve his accuracy in order to extend drives and give the defense some rest. This is an opportunity for the entire offense to work on becoming more efficient. Defense and special teams travel, so as long as there isn’t an unexpected dropoff, those units should make it easier to get another SEC road win. Now we get to see if Florida can handle success. Mullen and the rest of the staff have a big challenge in getting the players refocused and continuing to emphasize consistency and effort. This is another important step in the transformation of the program. This team isn’t good enough to overcome lack of execution and sloppy play, so here is an opportunity to prove to themselves they are indeed working their way back to the Gator Standard. Historically, Vanderbilt plays Florida close more often than not no matter the circumstances, and I think they will hang around at least into the second half. After 3 big SEC wins, it’s time to grind through the mental and physical fatigue and get another victory before enjoying an off week. It was an exhilarating win against LSU, but that has to be immediately set aside by the team to move forward to potentially some bigger things. Florida got another important SEC road win, defeating MSU in a tough, low-scoring affair that showed the development of some mental and physical toughness. The team showed focus, blocking out all the hype around the game concerning Dan Mullen’s return to Starkville, and embraced the grind of a hard-fought victory. This was the most complete team effort of the season. All that talk in the offseason from MSU’s players and fans about how they are better off now has been exposed. Florida has had to suffer long enough with these kinds of issues – it’s time to leave them behind and let other programs deal with them. On offense, the playbook was pared down to only a handful of base plays that spread the field sideline-to-sideline to offset the strength of the Bulldog’s defense, their D-line. While the final statistics weren’t gaudy, there was enough production by the running game to complement a short passing game that kept the chains moving and gave the defense a chance to rest. The O-line had his best performance of the season to date. They benefitted from the quick throws, only allowing 1 sack and few QB pressures, and got enough push in the run game to open some lanes for some key first downs on long drives. Franks was solid for the most part, making some quick throws on the WR screens and some strong throws when needed on slants and digs. This limited the number of reads he had to make to help him get rid of the ball quickly to avoid the rush. The WRs stepped up with some tough catches over the middle and hard running after the catch. Swain, Grimes, and Jefferson all showed toughness – not just with their pass-catching, but also in their blocking on the WR screens and running plays. Perine is making a push to be the starting RB, again having success both in the run and pass game. Scarlett continues to miss holes and lacks the explosiveness of 2016. Pierce got some important carries in the 4th quarter and continues to impress. And……finally…..Toney got some touches early, breaking off 2 nice runs from the wildcat formation and hitting the option pass for the winning TD. He has to continue to be incorporated more into the offense. The Gator defense also had it’s best performance of the year. 6 sacks, constant pressure on the pocket, decent run defense against a strong opponent, and solid pass coverage (less one blown play that should have resulted in a TD for MSU). The DEs made life miserable for Nick Fitzgerald all night in the passing game, and the DTs and LBs shored up their zone-read fits in the second half to force the Bulldogs to pass more often than they like. Polite and Zuniga were terrors off the edge, the LBs tackled well in space, and the secondary covered for the early loss of Dean to an unwarranted targeting ejection. MSU wanted nothing to do with CJH’s side of the field all night, forcing Edwards and McWilliams into the spotlight. They fared well overall but still had a few busted assignments that have to be corrected. The return of Shawn Davis at safety really filled a gaping hole – he made some big plays early to show the Bulldogs the middle of the field wasn’t going to be as open as previous Gator games this season. Finally, CGJ has become the leader of the secondary, getting them lined up properly and really improving his open-field tackling to lead by example. It’s on to Alleva Bowl 3 – the rubber game in the grudge match that resulted from LSU AD Joe Alleva’s whining back in 2016 about travelling to Florida with Hurricane Matthew not far away – forcing the Gators into a second straight game at Baton Rouge in which Florida won the East with a goal line stand as time expired. Sadly, the Tigers got the last laugh in 2017, beating the Swamp Donkey in the first of 2 straight games in Gainesville. LSU comes in undefeated and riding high, with two wins over Top 20 opponents away from home already on their resume. This is by far Florida’s toughest test so far this season. The Tigers were fortunate to land QB Joe Burrow, who transferred in from Ohio St. In only a few months he has proved more than competent, showing toughness and poise along with surprising running ability. His overall passing statistics aren’t great, but he has been clutch in key moments and has won his teammates over. LSU is still a running team first, lead by a solid O-line and RB Nick Brossette, who did not start until now, his senior year. The difference in their offense now vs. the past few seasons is that they mix in the pass more often on first down, with WRs Justin Jefferson and former Gator commit Ja’Marr Chase providing targets with good size and speed. Florida’s DTs will have to get at least a stalemate inside to slow the running game, while the DEs have to find a way to continue their recent excellent pass rushing on must-pass downs. Getting Dean back will be a boost to the secondary at CB – he and CJH will be challenged by the size and speed of LSU’s WRs, and have to play their best game to date. The safeties will likely be required to help in run support, but whoever is left behind in coverage has to tackle well in space to prevent big plays. The Tigers really like working the middle of the field with slants and square-ins, so everyone in the secondary will need to be physical and try to get the WRs off of their routes. The Gator offense really needs to find a way to run the ball effectively, as the LSU secondary may be the best one they will see all season. Passing the ball with efficiency could be a real struggle given the occasional issues with the O-line and RBs in pass pro and the inconsistent reads and accuracy from Franks. The Gators did run the ball well in the second half of last year’s game with the Tigers and the past few weeks of this season, but another slow start really lessens an already narrow margin for success. It will be interesting to see if Perine gets more carries, and if Toney is used to get to the edges to try and spread out a very good LSU LB corps led by all-SEC candidate Devin White. The O-line has to eliminate the stupid penalties that have hampered the offense and get some push, or it will be a long afternoon. I really liked how the RBs were involved in the passing game last week, and that would be a big help again to keep the defense honest and prevent them from stacking the box. Florida’s WRs will also face their biggest challenge to date against an excellent LSU secondary led by safety Grant Delpit and CB Greedy Williams. The Tiger secondary will be motivated to show out in their annual feud with the Gators about who really is DBU. The WRs have to get some separation to help Franks, and I expect they will again be asked to make some tough catches in the middle of the field. I’m not sure how well a repeat of the MSU game plan with the quick screens to the WRs will work against LSU’s defensive speed and physical CBs. There may be a few opportunities to fake a screen and try for a deep ball, now that LSU has seen so many short throws on film. Florida’s special teams need to continue their excellent play. Points may be at a premium, so McPherson has to make any reasonable FG attempts he gets. Townsend will be called upon to flip the field with his punts, and hopefully he can continue his success in pinning the opponent inside the 20 when presented the opportunity. The coverage units have also been playing well, and have to keep it going. In a close game against a strong opponent, a big play by this unit could be the difference. This is the biggest recruiting weekend of the season for Florida, and the Gators really need to put on a good performance to help get some key recruits off the fence and committed. It will be a wild scene at the Swamp for this one, and hopefully the team continues to show improvement in execution and toughness, no matter the outcome. The win at MSU has to provide a confidence boost for the players. LSU has already been tested and had success against some quality opponents, so they will not be intimidated by this game. Gator Nation really wants this game badly to stick it to LSU for their childish actions back in 2016 and a bitter home defeat in 2017, but I don’t know if the running game and Franks’ passing ability are far enough along to win the day in what I expect will be another close battle with the Tigers. I feel Florida’s best chance in this one is to not be forced to play from behind, and applying early pressure on LSU by getting the lead. I just hope the Gators don’t come in too hyped and commit a slew of mistakes that takes them out of it early. It will require a complete effort from all 3 phases – the potential is there, but I’m just not sure this team is quite ready yet. Florida gained a much-needed victory, getting it’s first SEC and road win of the season on Rocky Top. Despite the large margin of victory, I’m not going to buy into any more fool’s gold – the Gator offense was still inconsistent, while the defense and an avalanche of turnovers by the Volunteers were mainly responsible for the blowout. Yes, there seems to be progress in the development of certain players and positions, but Tennessee is so bad right now that any evaluation is tainted. After a strong first quarter in both production and execution, both the offense and Franks’ performance struggled at times with some questionable play-calling and mental errors. Franks gets credit for improvising on his 2 long TD throws to Swain and Cleveland, but he took advantage of a terrible Tennessee secondary. There were still missed opportunities and some inaccurate throws that would have extended drives. The running game did enough to provide balance, but the O-Line still has issues with getting a consistent push. Scarlett had a few nice runs and the TD that iced the game, but the rest of the game was spotty less Pierce’s TD after the game was decided. Pass protection had less blown assignments and rushers coming free at Franks, but there is still plenty of room for improvement. The performance of the WRs was difficult to judge, as there were only 18 pass attempts. Swain continues to surprise as the breakout star, adjusting his route when Franks had to move out of the pocket to get open and outrun the Vol secondary. I feel for Jefferson and Grimes, who, along with Toney, were underutilized……again. Toney only had 2 touches – a wildcat QB keeper for 9 yards and a jet sweep for 34 yards. Perhaps his blocking is not up to par or he is not performing well in practice, but the staff is wasting a real talent. The Gator defense dominated at the LOS as it should have against a poor Vol O-line. The D-line gets credit for improving it’s run fits, but the real difference was the return of David Reese at LB. His presence really shores up the entire run defense and provided an emotional spark. Transfer Adam Shuler is becoming a playmaker at DT, and has earned a starting role. The DEs had a field day rushing the passer and getting some monster hits on the Vol QBs – eventually knocking Jarrett Guarantano out of the game. There are still holes in pass coverage in the middle of the field, and Trey Dean is going to get picked on at CB until he gains experience and improves his deep coverage. The biggest surprise of the night on defense was the emergence from the missing person’s file of Brad Stewart at safety. He made a great interception on a deep pass, and came up in run support and actually made some solid tackles. The overall performance of the safety position has been so bad that any development by him or anyone else will be a huge boost. Overall, the defense played with more energy than in any game so far this year, and that has to continue. Special teams play was solid again. McPherson made all of his FGs and kicked off well, while Townsend pinned Tennessee inside the 20 many times and also hit a few long punts to flip the field. Next up on the schedule is the Dan Mullen Bowl, as he returns to the aptly-named Starkville to face his former team in Mississippi St. The Bulldogs have had this one circled on their calendar ever since he left for Florida, and will be very motivated to stick it to him and the Gators this week. It will be interesting to see how they react after getting whipped at Kentucky, which has taken some wind out of their sails and slowed their talk about being a contender in the SEC West. MSU’s offense is led by senior QB Nick Fitzgerald and a tough O-line. He is a physical runner but a mediocre passer, and the Gator defense will have to try and replicate what the Wildcats did – stuff the run as much as possible and force him to throw to beat them. RB Kylin Hill and WRs Osirus Mitchell and Stephen Guidry are the main contributors after Fitzgerald. The WRs don’t have a large volume of catches, but don’t be fooled – they are quality players that simply don’t get as many touches due to the reliance on the running game and the inaccuracy of Fitzgerald. It wouldn’t surprise me at all to see backup QB Keytaon Thompson get some snaps for a change of pace – his throwing ability is no better, but he is a much quicker and dangerous runner. The Gator DEs will again be relied upon to set the edge, while the secondary has to stay disciplined and not get caught peeking into the backfield just to get beaten over the top. Something tells me that MSU is going to try and throw long more often this game. The Bulldogs will be a much more formidable opponent than Tennessee – the defense will have to continue to play with effort and not lose confidence even if they give up some big plays along the way. Coach Grantham is very familiar with the MSU personnel, and should be able to scheme up some looks that he knows will affect Fitzgerald’s play and slow down the Bulldog running game. Once again, the success of the Gator offense rides almost solely on the arm of Franks. Even if Florida can establish a semblance of a running game, he will have to have success throwing the ball if the Gators have any real hope of winning. The MSU front seven is tough and physical, and has two of the better DEs in the SEC with Montez Sweat and Jeffery Simmons – they are effective pass rushers and will have to be accounted for by the Gator tackles and RBs in pass protection. The O-line has to find a way to establish a run threat, or else this will be a long evening for the offense. The tackles will have by far their toughest assignment of the season to date in pass protection, and have to at least get a stalemate against those tough DEs. I’m hopeful that (finally) there will be a package to exploit Toney on the edges. Getting (and keeping) the RBs involved in the passing game will also help slow the pass rush and stretch the defense, not allowing them to crowd the box. Finally, there will be chances to hit some deep throws, but is Franks capable of exploiting the advantage the WRs have over the Bulldog CBs? MSU is coming off of an embarrassing loss at Kentucky, and will seek to re-establish it’s identity against Florida – a power running game and tough run defense. These are two areas that the Gators have struggled with this season, and it doesn’t help that the players and fans will be especially hyped for Mullen’s return. I feel that the Gators could pull this one off if they can get an early lead and force the Bulldogs out of their comfort zone by having to pass more often. Perhaps the special teams can continue to make big plays and set up some easy scores to help with the upset bid. However, I still don’t trust Franks to be an efficient and accurate passer and decision-maker, and don’t see the rest of the team being good enough yet to overcome the offense if it struggles against a quality opponent. The Gators got a much needed bounce-back win against CSU, capitalizing on big plays from the special teams to race out to an early lead and then regain momentum after a slow second half start. The offense looked marginally better, but until they perform against a solid SEC team, it could be more fool’s gold. Franks did hit some long throws, but again left points on the field with slow decisions and late throws. Will he ever develop the mental part of his game? He did take off and run a few times when the field opened up, which is what he should do. The running game still goes in fits and starts. Scarlett broke off a nice TD run, but still missed some holes. Perine continues to play solidly as the 3rd down back, and Pierce again broke off a long run and is pushing for more carries. Davis hobbled off the field after a tackle with what has been diagnosed as a broken foot, and will miss 4-6 weeks. Fortunately the RB position is the deepest on the team. The O-Line seemed to play more cohesively, but, again, they have to play better against better competition. There are still too many missed assignments in pass blocking from experienced guys, which tells you that some of them are playing only because of poor depth. The WRs continue to get open, but Franks again missed some opportunities for big plays. Finally, Toney continues to be criminally underutilized. The defense actually played better in spurts and looked more disciplined in the run fits by the LBs. Houston continues to push for more playing time, Jackson’s tackling was better, and Joseph actually made some big plays because he was in position and not freelancing. The D-Line did a better job with it’s pass rush off the edge, and this has to continue going forward as the competition improves dramatically in conference play. The secondary had it’s moments, but I’m worried about the coverage between the hashmarks. The safeties are still too soft and occasionally lost in coverage, leaving too much room over the middle for easy completions. At this point, I’m doubting if that changes at least until Shawn Davis returns from injury. Coach Grantham will simply have to blitz more often to try and force quicker throws and generate turnovers. Special teams led the way, with a fumble recovery, a blocked punt, and a punt return TD by Swain. This unit is the best on the team so far, and has brought some energy to the team. I’m very impressed with McPherson as the PK so far – he has a nice career ahead of him, and already looks steady – especially for a true freshman. Florida now travels to Knoxville to face another struggling program. This game is not even a shadow of what it once was right now, and neither team looks competitive in the SEC. Tennessee has not looked good at all – the one decent team they played, West Virginia, ran up close to 600 yards and was never challenged, and they have outclassed two weak opponents – eerily similar to Florida so far. The Vols have even more new faces and less experience on their roster than the Gators, and are looking for an identity on both offense and defense. QB Jarrett Guarantano has improved some after being forced into action last year as a freshman and getting beaten up. He has a good deep arm and some mobility, but can be forced into mistakes by a good pass rush. Tennessee relies on RBs Tim Jordan and Ty Chandler to control the clock while WRs Marquez Callaway and Josh Palmer are the favorite passing game targets. I expect them to challenge the Gator secondary, which after CJH and CGJ is undistinguished. Tennessee has some SEC talent at the skill positions, but the Vol O-Line has struggled, and Florida’s D-Line has to take advantage of it’s talent advantage and create havoc at the LOS to disrupt timing and possibly create turnovers. It’s time for Coach Grantham to unleash some of the pressure looks he’s touted for and to force Tennessee into things they are uncomfortable doing. The LBs and safeties are simply not good enough in coverage to hold up. I also want to see the tackling continue to improve – both in technique and finishing off ball carriers. The safeties have to improve – now. The Tennessee defense is the least talented it’s been in memory, relying on a team concept to try and mask individual deficiencies. To date their pass rush has been weak, but can Florida’s O-Line actually protect Franks on the road? The conundrum with how the Gators will attack on offense is that, while Mullen would like to establish the running game to take pressure off of Franks, the Vol secondary is dreadful, and should be taken advantage of by a Florida WR corps that is superior in talent. But, can Franks begin to make throws consistently on time and accurately to take advantage of this mismatch? There will be plenty of opportunities for big plays if the interior O-Line reduces the number of missed assignments and gives Franks a decent pocket and some time. The RBs will need to fight through contact for extra yards, and hopefully will be utilized some in the passing game to force Tennessee to defend the entire field. Pierce will step in for Davis to get more carries, but Scarlett and Perine have to take over the majority of the load and be leaders of the offense. Once again, will Toney finally get the touches he needs to make some big plays? One thing that can tip the scales Florida’s way is the play of the special teams. This group hopefully can continue to build on it’s early season success and set up the offense a few times with a shorter field. They can change or build on momentum quickly, and with all of the issues on both offense and defense right now, all three units have to play well for this team to win. This is a huge game for both programs and head coaches. Jeremy Pruitt was way down the list of candidates to get the Tennessee job and has a lot of doubters, while Dan Mullen is trying to change the culture at Florida in all phases of the football program and is hitting some bumps in the road so far. The team that loses this game faces another long, painful season ahead, while the winner at least has something positive to build on despite low expectations going forward. Since both teams are struggling, it looks like the one that plays smarter, protects the football, and more effectively takes advantage of the opponent’s weak secondary will win this one. Fair or not, again the Gators’ fortunes fall on the decision-making ability of Franks, which is a dicey proposition. I’m hoping the advantage in experience on the Florida roster is enough to offset the home-field advantage for the Vols. The Gators desperately need this win to provide some hope and a spark for the rest of the season. All of the early hype and excitement about a new regime came crashing down Saturday night, as the Gators put on an uninspired display, getting embarrassed by Kentucky in a 27-16 loss. That about does it for the last remnants of the football program pre-2010, as the last positive streak came to a desultory end. Nothing is left from the great run of 1980-2009, and the rebuild now appears to be more of a 3-5 year one. It appears that too many, including the players, bought too much into the fool’s gold of the first game. It was stunning to hear Coach Mullen say in his post-game presser that he and the coaches witnessed first-hand how the team felt entitled and practiced poorly all week. It looks like there are still a lot of bad apples left behind from the Swamp Donkey’s tenure, and the new staff is stuck with playing most of these guys as there is a lack of SEC talent and depth at the OL, LB, and safety positions that will take years to restock. Hearing how the team came in overconfident is mind-boggling – talk about out of touch with reality. There isn’t much analysis needed – the OL and DL were outplayed, outhustled, and physically beaten all night. On offense, it’s apparent now why Mullen has chosen to throw so often – the OL is soft, and doesn’t play with the attitude necessary to run block. Combine this with a mediocre QB, and it’s a recipe for disaster. The absence of Brett Heggie at guard or center is really being felt, and he can’t get back soon enough to bolster the interior O-Line. It may be time to shuffle positions and put Ivey back at guard, bench both Jordan and Johnson, and get some young guys in. John Hevesy is supposedly a master technician as a position coach – let’s see it. There was actually one area the OL performed well in – the draw plays were effective all night. .Franks is what he is – even when given time he misses open guys or is late with the throw. When he’s pressured at all, it’s a complete crapshoot. The skill guys did what they could to offset the poor OL and QB play. Malik Davis is still recovering mentally from his knee injury, bit is starting to show flashes of his old form at RB. Perine is excelling on 3rd downs, both running and receiving. Scarlett, however, looks tentative and slow – he has lost whatever juice he displayed in 2016, and is in danger of losing snaps. The WRs consistently bailed out Franks on bad throws. There was a ton of YAC and two potential scores lost due to inaccurate throws. Once again, it appears the jet sweep is not allowed at Florida. Toney (again) is being underutilized – he is electric with the ball. Perhaps it’s time to move him to the QB room. Finally, what was up with the first play of the 2nd quarter? Run the damn ball and get a first down or TD there – that cost the team 4 important points. If that was the call from Mullen, despite the struggles of the O-Line, it was brutal. Colorado St. comes into the Swamp with a lot of momentum off of a surprising 4th quarter comeback win at home over Arkansas. It’s going to be interesting to see how the Gators react to such a dispiriting loss. The players better focus on nothing other than improving themselves – they ain’t all that, despite what they may have thought. The Rams came back against Arkansas with their passing game, and with the injuries and lack of depth in the Gator secondary, I expect a lot of passing by them this week. I wonder if the game plan for the Florida offense will be pared down to more basic plays, despite the potential wasting of so much talent at the skill positions. The O-Line has to get better, and Franks has to improve his accuracy. I hope the RBs are incorporated more into the passing game, and that there are some quicker throws to the WRs to allow them to make plays in space. If they start slowly, there will be rumblings from the stands – Gator Nation is not happy right now. This is an early fork in the road for Mullen and the team. Will the players pick themselves up and allow themselves to be coached and improve, or will they tank? Or will they not take either path and just run directly into the tree? I’m still holding out hope for a winning record, but the loss to Kentucky was sobering and exposed a variety of problems. The coaching staff has a lot of work to do to build the players back up and improve their play. It’s time to start using the bench as a motivator to adjust some attitudes and to get some young guys in if the upperclassmen don’t want to buy in. This has suddenly become a critical game to set the tone for the rest of 2018. It was a fun night at the Swamp, as the Gators cruised to an easy 53-6 blowout of CSU. The Gators came out fast and ran to a big early lead, which allowed the coaching staff to empty the bench throughout the second half and get a lot of young players some experience. Surprisingly, it was the passing game that set the tone early and throughout the first half. Feleipe Franks threw 5 TDs to 4 different WRs, and spread the ball around very well. He looked a little tentative early, but once he relaxed he threw more accurately than in any previous appearance. Newcomers Van Jefferson and Trevon Grimes accounted for 3 TDs and look like the 2 best WRs on the roster, providing a huge boost in talent and big-play capability. All was not fun and games for the offense, however, as it took a while for the running game to get untracked. The O-Line looked like there was more thinking than simply playing, and it was disappointing to see them struggle to dominate the LOS until the CSU D-Line started to tire in the 2nd quarter. Jordan Scarlett’s return at RB was a bust, as he looked very tentative and did not hit the holes hard. He was more than picked up by the depth at RB, as Malik Davis, Lamical Perine, and Dameon Pierce all broke off big runs to finally provide balance to the attack. The Gator defense dominated all evening as they should have, controlling the LOS and making life miserable for the Buccaneer option attack with quick penetration from the D-Line. Jachai Polite showed why he earned a starting role, and was unblockable. I was impressed with the play of the some of the young LBs – Rayshad Jackson took himself off the side of milk cartons all over the state for at least 1 week, while Ventrell Miller showed some of the promise he came with out of high school. The secondary was not challenged all night, but did play the run well and did not get lulled to sleep to then allow a long completion. Florida’s special teams showed a pulse as well. Freshman Evan McPherson made all of his FG attempts, and the Gators blocked both a FG and an extra point, providing some added excitement. The real season starts this week with the SEC opener against Kentucky. The streak now stands at 31 over the Wildcats, and after their gut-wrenching loss last year in Lexington, does UK really believe they can beat the Gators, especially on the road? Once again, they are talking a big game, bringing their most experienced team and best defense under Mike Stoops to Gainesville. Kentucky’s offense struggled against Central Michigan, as new starting QB Terry Wilson looked lost in his first start, while backup Gunnar Hoak provided the only passing TD. The Wildcats will rely heavily on their running game, led by Benny Snell. Wilson will likely start, as he brings a running dynamic that they will need to try and sustain drives and wear down the Florida defense. They will try to shorten the game and make it into an ugly affair, hoping that Franks will panic if behind early or feel the pressure if the game is close deep into the second half. The Gator defense welcomes back Cece Jefferson and David Reese from suspension, and those two will help to bolster the run defense. The front seven will be under the gun to stuff the Kentucky running game and force them to throw, which will be a decided mismatch in favor of Florida. The outcome of this game simply comes down to how well Florida’s O-Line plays. The run blocking has to make a huge improvement from the lackluster play of last week, because the Gators have a stable of RBs that can control the entire game. If they can give Franks sufficient time to keep the offense balanced with the passing game and allow the Gators to sprint out to an early lead, I really don’t see a path to victory for the Wildcats unless the Gators commit a rash of turnovers. Florida will have to show marked improvement on offense from game 1 to game 2, and I believe this coaching staff is light-years ahead of the previous one in preparing the players. The Gators have the advantage in the number of playmakers on both sides of the ball, and something tells me the special teams will make a significant play as well. Finally, the excitement and support of the home crowd should provide the energy to help run the streak to 32 straight. The 2018 season kicks off with Charleston Southern traveling to the Swamp. The Buccaneers will receive a large paycheck for their troubles – and a beatdown. Most of the attention of Gator Nation will be given to the performance of the offense – again. It looks like Feleipe Franks will get first shot at the starter’s role at QB, but I’m hopeful the offense plays well so Kyle Trask and perhaps even Emory Jones can get their first experience. We should see fairly early how comfortable the QBs are in the new scheme. The running game should have success against an outmanned CSU D-Line. Jordan Scarlett comes back from his 2017 suspension and should be anxious to show what he can do. I expect the rest of the rotation – Malik Davis, Lamical Perine, and freshman Dameon Pierce to all share the load. There will be new faces to watch for at WR. Transfers Van Jefferson and Trevon Grimes join Tyrie Cleveland, Josh Hammond, Freddie Swain, and Dre Massey to form what could be a strong WR corps. That will (hopefully) be proven out with better coaching and improved QB play. In the new spread scheme the WRs will be expected to block even more than before, so the guys that buy in will have the advantage in terms of playing time. TE is a mixed bag right now, and no one has a feel for how the rotation will eventually shake out. C’yontai Lewis will start, but after him there are simply more question marks than answers. I’m hoping that one of the new arrivals, maybe Lucas Krull or Kyle Pitts, shows some early promise. The O-Line will have a new look, and is being counted on to improve. Martez Ivey finally gets to play his natural position at left tackle. Jawaan Taylor returns as the right tackle, but needs to improve his pass blocking. The guard position will be a mixed bag until performance and health shake out who the starters will be. Brett Heggie is the best guard or center on the roster, but is returning from knee surgery and likely won’t be 100% for another month or so. Tyler Jordan, Fred Johnson, and Nick Buchanan will all play, with Buchanan getting the start at center. The Gator defense should have little trouble dominating the game, and it will fun to watch how the players are adapting to the new scheme that should feature more aggressive play. The D-Line could develop into one of the best in the SEC this season. Elijah Conliffe, Tedarrell Slaton, and Khairi Clark make up a solid rotation at tackle. The DEs could become dominant as the season progresses – Cece Jefferson, Jachai Polite, and Jabari Zuniga each have all-SEC ability. At LB, David Reese, Vosean Joseph, and Kylan Johnson all return, with young players Ventrell Miller, James Houston, and Jeremiah Moon pushing for snaps. The secondary features great starting CBs in Marco Wilson and CJ Henderson, Chancey Gardner-Johnson in the slot or ‘star’ position, with Brian Edwards and freshman Trey Dean getting an early look at cornerback. The safety position is filled with question marks – Jaewon Taylor, Brad Stewart, Donovan Stiner, and Shawn Davis will all play, but none of them have shown consistency yet. Special teams will also hold the interest of the fans, as there will be a new placekicker and punter. Freshman Evan McPherson gets first crack at placekicking duties, while Tommy Townsend replaces his brother as the punter. Each has huge shoes to fill, as Florida likely had the best kicking duo in the nation last season. Coach Mullen has renewed the emphasis on the coverage and return units, and knows that this phase of the game can win a few games with field position or a big return in close games. CSU should pose little challenge, as they are overmatched physically and in skill level. Hopefully the Florida offense is provides an early and expanding lead – this will allow the staff to rest starters on both sides of the ball and to get a lot of guys on the field to gain experience and develop depth. Plenty of young guys will get their chance to prove they belong in the rotation at various positions, especially at OL, LB, and the secondary. This should be a glorified scrimmage before the SEC season begins. I expect a vanilla scheme on offense and defense that allows the players to get game reps in the base formations and looks that will be relied upon the rest of the season. As always, the mantra for this kind of game is, “no injuries!”. It’s déjà vu all over again. The Florida football program has to push the reset button and start anew, and Dan Mullen has the task of rebuilding the Gator brand across the board – talent, coaching, facilities, and trying to heal the damaged psyche of the Gator Nation. Mullen has been dealt a crappy hand in many ways by the Swamp Donkey, Jim McElwain. Recruiting, especially on offense, has proven difficult. Many prospects are in a wait-and-see mode, and many blue-chip guys have already committed elsewhere, choosing NOT to wait. The QB room is a complete question mark, the O-Line has no proven depth behind the starting five, and the LB corps was it’s weakest in perhaps decades. The fan base has lost enthusiasm, and football facility upgrades are still a few years away as other projects get finished. To his credit, Mullen has soldiered through all of these negatives and question marks, employing his “relentless effort” manta to his handling of the responsibility of being the Head Coach at Florida. He has embraced the pressure and expectations that come with it, instead of shrinking from them. Regarding his new coaching staff, he has assembled a nice mix of experienced and younger coaches, most of which seem to be connecting with the current players and recruits. New Defensive Coordinator Todd Grantham promises an attacking style. WR coach Billy Gonzales and OL coach John Hevesy have been with Mullen going back to Mullen’s years as the Offensive Coordinator at Florida, and will share the OC responsibilities. Perhaps the most important addition to the staff is new Strength and Conditioning coach Nick Savage. The players are very excited about the results already gained since January, which will result in better conditioning, less injuries, and better play late in games. Coach Mullen has more rebuilding than reloading to do the next few seasons to restore the brand and begin to approach the expectations of not just the fan base, but of his own. There are so many roster unknowns that predicting results for 2018 is extremely difficult……but that’s why I’m here! Will the offense finally carry it’s fair share of the load for the Gators? There is quality and depth at all the skill positions, but adjusting to a new scheme, lack of depth along the O-Line, and various question marks at QB could tell the tale of 2018. The QB depth chart does not inspire optimism. Feleipe Franks may be mentally damaged goods along with not being a natural fit for Mullen’s spread offense; Kyle Trask seemingly has the mental capacity to understand the offense but has zero college snaps; Emory Jones has the athletic ability and familiarity with the style of offense, but zero experience other than one spring and fall practice. It’s Mullen’s job, along with the new staff, to instill confidence in the players and put them in position to succeed. Most of the attention will certainly be on his development of the QB position. His track record in developing various styles of players into productive, SEC-level QBs is undeniable, but he has a unique and challenging task to find someone in the current QB room to take the lead and perform. Unless someone comes forward to provide some balance with a functional passing game and occasional effective running, this could be another disappointing season, renewing the disenchantment of Gator Nation. I expect to see all 3 QBs in some capacity during September, with Franks getting the first shot at becoming the starter. Mullen will see what they can do in live action and make his decision on a starter for the rest of the season. New running back coach Greg Knox inherits a talented and deep RB corps. Jordan Scarlett returns from his suspension in 2017 and has established himself as the lead back. Malik Davis played very well as a true freshman last season, but is coming off of knee surgery and should not be overworked early – he is likely the best home-run option. Lamical Perine has had moments, but needs to show consistency. True freshman Dameon Pierce has impressed in fall camp with his size and toughness, and likely gets some snaps this fall. Adarius Lemons would be in the rotation at almost any other school, but likely sees most of his action as a kick returner. Finally, true freshman Iverson Clement has moved over to the defense to help out at the thin safety position, as he would not see the field as a RB with all of the depth and talent ahead of him. This is one of the best rotations in the SEC, and should help ease the transition of the QBs into a new offense. I expect the RBs to also be used more prominently in the passing game to help the QBs and O-Line. The wide receivers are by far the most talented and deep group since Mullen’s previous stint at Florida. New WR coach Billy Gonzales has plenty of capable players, but has to instill confidence, while also selling them on run-blocking in a spread scheme. Tyrie Cleveland has shown flashes in his first 2 seasons, but has to prove he is ready for a lead role. The transfer in of Van Jefferson from Ole Miss should pay immediate dividends – he is by far the most accomplished WR on the roster, and has ideal size and speed. Kadarious Toney gives the Gators a weapon in the slot, and will also get the occasional snap as a wildcat QB because of his playmaking ability. Ohio State transfer Trevon Grimes has great size and potential, and could make a huge leap into the rotation. For returning WRs Josh Hammond and Freddie Swain, it’s now or never to prove they deserve more than limited duty. Dre Massey seems to have become the forgotten man, and may become more of a contributor on special teams. Daquon Green has raw talent, but little experience. Finally, true freshman Jacob Copeland could make an impact as he works his way into shape after minor knee surgery in August – he was one of the top WR recruits in the country, and brings playmaking ability and some swag. There is more than enough size, speed, and playmaking in this group to keep defensive secondaries from stacking the line of scrimmage and providing balance to the offense……if the QBs can find them consistently. The tight end position has received a huge infusion of new talent, but it lacks experience. C’yontai Lewis is the only senior and returns as the only proven receiving threat, but has struggled with drops and focus. Kemore Gamble has to potential to be a 3-down player, but has to prove to new TE coach Larry Scott his physical and mental toughness. New arrivals Lucas Krull, Dante Lang, and Kyle Pitts all have prototype 3-down size and pass-catching potential, but are unproven. At least one of them is going to get a chance to play this season. If as I suspect the running game is leaned upon for most of the season, the guys that demonstrate in-line blocking ability will increase their chances of playing time. There is more potential than proven ability at this position for 2018, but a lot of future promise. New offensive line coach John Hevesy has 6 guys that he can count on as SEC-level players, but after that it’s a mixed bag of inexperienced and underachieving guys – he has a lot of work to do to identify at least 2-3 more guys he can trust. The starting tackles will be Martez Ivey and Jawaan Taylor, but there is little proven depth behind them. Holdovers T.J. Moore, Kavaris Harkless, and Stone Forsythe, Texas transfer Jean Delance, JUCO transfer Noah Banks, and true freshman Chris Bleich are all in the mix as backups. At guard, Tyler Jordan and Brett Heggie appear to be the starters, with returning players Nick Buchanan and Fred Johnson, and true freshman Richard Gouraige, all vying for backup time. The most competitive position on the O-Line is at center. Last year’s starter T.J. McCoy doesn’t seem to be adapting to the new scheme, and this has opened the door to Buchanan and Nick Villano to possibly start. Ideally Heggie would be the center, as he is the best interior lineman on the team, but the lack of depth a guard will likely leave him there this season. Coach Hevesy is known as an excellent position coach and technician, so perhaps he unlocks some of the unrealized potential of this group. Fortunately there is plenty of SEC-level talent on defense to (again) shoulder a majority of the load with even a modicum of help and consistency from the offense. There is experience along the D-Line and playmaking ability in the secondary. If the defensive staff can get decent play out of a nondescript LB corps, this should be another solid Gator defense. New defensive line coach Sal Sunseri has plenty of experience with winning teams both in college and the NFL. He has a lot of talent and depth to work with this fall. Khairi Clark, Kyree Campbell, Tedarrell Slaton, and Elijah Conliffe comprise a solid rotation at tackle, and have the size and strength to hold up against the run and command the occasional double-team. The DE rotation could be one of the best in the country. CeCe Jefferson, Jabari Zuniga, Jachai Polite, and Antonneus Clayton all have speed and pass-rushing ability, and Zach Carter will provide solid depth at both end and tackle. Jefferson and Zuniga especially have flashed elite pass-rushing skills, while Polite has been a terror in fall camp. There is enough depth that a few injuries shouldn’t significantly affect the performance of this group. The linebacker corps is the biggest question mark on the team, and has the most to prove. It remains to be seen if the new scheme, along with new LB coach Christian Robinson, can find a way to maximize the talents of junior David Reese (not to be confused with freshman David Reese), Vosean Joseph, Kylan Johnson, and Jeremiah Moon. All have only occasionally flashed promise, and none are 3-down players. There is talent in the freshman group – Ventrell Miller, James Houston, Nick Smith, Reese, and Andrew Chatfield – and they will have to be counted on for depth. It would not shock me if one of them gains starter snaps later in the season. I would not be surprised to see a lot of 4-2-5 lineups to emphasize the strength at DL and in the secondary, while masking some of the deficiencies at LB. Reese could be asked to play some at safety because of injuries there, while Chatfield comes in with potential all-SEC pass rush ability. If Todd Grantham wants to employ an attacking, blitzing defense, he certainly has the cornerbacks to do it. Marco Wilson and CJ Henderson are the best young duo in the country, with sold depth provided by Chauncey Gardner-Johnson in the slot. True freshman Trey Dean has impressed in fall camp and will play early. The safety position is a mixed bag, and lacks quality and quality depth. Jaewon Taylor, Shawn Davis, and Brad Stewart will rotate as starters and have shown glimpses of being SEC-caliber players, but none have shown yet they are consistent contributors. Donovan Stiner is a solid special teams player but his coverage skills are suspect, while Quincey Lenton is lost for the season with an achilles injury. Iverson Clement has the athleticism to be a good one, but is just learning the position. New Safety coach Ron English will have his hands full developing a cohesive group – any more injuries here and the entire scheme may need to be altered. This was one of the best units in the country in 2017, featuring perhaps the best PK/punter combo in the nation in Eddy Pineiro and Johnny Townsend. Both are now gone to the NFL, and this unit becomes a big question mark. True freshman Evan McPherson will battle 5th-year senior Jorge Powell for the placekicking duties. The competition has been even throughout the spring and into fall camp. McPherson has the stronger leg, but no college experience, while Powel has had the opportunity to see limited action the past 3 seasons. One of these two has to grab the role and do well, to help an offense that hasn’t proven yet that it can score touchdowns instead of stalling out short of the end zone. There will still be a Townsend punting for the Gators – this time younger brother Tommy. He has performed well in practice, but it’s an entirely new experience when the games count. Hopefully he has learned enough from his older brother about the mental aspect of handling the pressure. If he can even approach the job that Johnny did, he will be just fine. Finally, Coach Mullen has brought a renewed emphasis on special teams in regards to both kick coverage and the return game. He will not hesitate to install some starters to do both. Massey, Lemons, Toney, and Cleveland have all taken turns returning punts and kickoffs in practice – evidence that Mullen wants the return game to be feared once again and a real weapon to flip the field and potentially help win a few close games. Florida’s schedule is as manageable as it’s been in many years, and the opportunity exists for 9 or more wins with any sort of competent QB play. Kentucky, LSU, and South Carolina are the key home games, while the games away from Gainesville are the real challenge. Trips to Tennessee, Mississippi State and Florida State will be tough, along with the annual game against Georgia in Jacksonville. This staff should actually be able to coach up and develop the players, and have a game plan each week that can be executed. By the end of September, both the ceiling and floor of what the season can be will become apparent. This game will get a lot more scrutiny than your typical opener against an outmanned opponent. Gator Nation is restless, and will (likely) have unfair expectations for the offense to come out rolling in it’s very first game in Mullen’s spread scheme. Any QB who plays will be watched closely and critically, and (hopefully) all 3 guys get a chance to play and shake off any nerves. Other than a very few special plays, I expect a basic, workmanlike game plan by both the offense and defense. Work on the base plays and schemes that will be used against every opponent, and develop some depth along the O-Line and at LB. Most importantly – no injuries, please. The first SEC game is critical for the Gators to start out on the right foot in conference play. The streak is now 31 straight over the Wildcats, and after stealing the game in Lexington last year, I just don’t see the Wildcats coming into the Swamp and winning unless the Gator offense melts down with a bunch of turnovers. Mike Stoops will always field a solid defense, and the score may be close into the second half, but I think the Florida running game wins this one. The Gators start with 3 straight home games, and this should prove beneficial in establishing what the team is asked to do under the new staff before 2 straight important SEC road games. The Rams are usually a decent team, and this could be a trap game for Florida if the Gators are caught looking ahead. Again, I’m hopeful that the staff doesn’t have to show too much of it’s hand on film before hitting the road. This one could also be closer than many expect, especially if the Gators come out flat early. A huge game for both programs, with new coaching staffs trying to get the upper hand. Florida cut out the hearts of the Vols (again) last season, and that alone will provide a lot of motivation for their players and fans. The Gators will come in with much more game experience and more returning starters, which could prove to be the difference in a hostile environment. Expect anything and everything from Tennessee, as Jeremy Pruitt tries to bring the winning ways from Alabama to Knoxville. I can see this game coming down to a 4th quarter finish (again), but I am giving the edge to Coach Mullen with his experience as a head coach. The Bulldogs have had this game circled on the calendar ever since Dan Mullen left for Gainesville. Unfortunately for the Gators, this is likely the most talented and deepest team MSU has had since 2014, and Florida has historically struggled against SEC West teams, especially on the road. QB play will be key in this game, and, despite the Gator coaching staff’s familiarity with the Bulldog roster, Nick Fitzgerald has a huge advantage over any current Gator QB. Florida’s best chance to win is to ride the defense all game, finding a way to stop the MSU running game and to generate turnovers. The second straight visit to the Swamp by the Tigers, the result of the Hurricane Irma fiasco of 2017. After choking away last year’s game, the Gators will have plenty of motivation in this one. Two similar teams – good defense, good running game, lots of questions at QB. Here’s hoping that by now Florida has sorted out it’s QB situation better than LSU, and that home-field advantage actually means something this time. Likely another close, 4th-quarter battle. This could be a trap game for Florida, coming after 3 straight tough SEC games. The Gators traditionally sleepwalk through this game, especially in Nashville. The Commodores lost a lot of their best defensive players, and will have to rely on QB Kyle Shurmer to pull an upset. I’m counting on a legitimate coaching staff to keep the team focused well enough to grind out a win. The Gators will need this win for momentum going into the next game. All the hype is around the Puppies these days, and everyone wants to know if they can sustain last season’s success. Georgia lost a lot of starters on both sides of the ball, and we’ll see if they have the replacements in place to fill those losses. They still have an experienced O-Line and capable RBs, but more pressure will fall on QB Jake Fromm to make plays, instead of being a caretaker. Florida has fallen behind in regards to overall talent and recruiting, and Coach Mullen knows he has to show that last year’s blowout loss isn’t a sign of things to come in the series. Despite having a week off to prepare and the motivation of last year’s humiliation, I just don’t see the Gator offense being ready to lead the way and carry it’s weight against a tough opponent. This one should be very entertaining. Back home at the Swamp for 3 straight games. This could be a trap game after the Cocktail Party. This is another chance for the Gators to avenge a humiliating loss, rolling over and quitting last season at Missouri. The Tigers are led by QB Drew Lock, who is getting a lot of preseason hype. I feel Missouri took advantage of a lot of teams that were tanking by the time they played them last year, and won’t have such an easy time of it. Florida should be able to control the ball with it’s running game and wear down the Tigers. This could develop into a high-scoring affair. The Gamecocks and QB Jake Bentley are getting a lot of run after beating up on a bad SEC East last year. By the time they come to the Swamp this fall, I think some of the shine is going to be off of them. Won’t Misschump will be motivated to beat Florida again for payback after (justifiably) getting fired, and their defense should be solid. I could see this one going either way at the end of the typical SEC grind, but again I will place some faith in a vastly-improved Gator coaching staff to find a way to win this one. This game should afford a breather, and hopefully the staff gets the opportunity in the second half to empty the roster and have some extra preparation time for the final regular season game. The Vandals will get a nice paycheck for their troubles. Stay healthy – please! Florida has now lost 7 out of 8 to the Criminoles. At least F$U will not be coming into this game with the advantage of coaching stability, as Slick Willie Taggart continues his carpetbagging across the country by returning to the state of Florida. FSU will still have an edge in overall talent and depth, and coming off of an ACC schedule that is not the same gauntlet that is the SEC. The Gators are capable of winning this game, but must be healthy, have an established QB that is also a leader, and a consistent O-Line. Being in Taliban City will likely be the advantage F$U needs to win this one, but the Gators need to show that the tide is turning in the series with a competitive game. 2018 is a very important year for Dan Mullen and the players to show progress on offense and energize the fan base and recruiting. He has done a fine job so far in developing the roster and instilling confidence in his players, but will it translate to the field? He has to develop a competent starting QB – having to juggle 2-3 guys in order to give the Gators the opportunity to win is not a sustainable formula for success. The schedule is actually the most manageable it’s been in many years, and provides an opportunity to get off to a quick start and build belief between the coaches and players. My prediction on a 9-win season may be wildly optimistic given the questions at QB, LB, and the O-Line. It reflects confidence in Mullen’s track record in developing QBs along with continuity within much of his staff. If Florida can manage to win 9 games while exhibiting progress on offense and improving a young but talented defense, that will set up things for a very bright future. However, inconsistent QB play, lack of scoring, and a defense that starts to show cracks as the season progresses will slow any momentum, and the win-loss record will more closely resemble the floor of 6-7 wins. This is going to be another challenging year for the Gators, but they have the talent and coaching to make it a fair fight. This season may be very successful, or stressful…….but it will certainly be interesting. It’s that time again……Heeeeeeeeeeeere come the Gators! Once again, the Florida football program has to push the reset button and begin another fresh start, and Dan Mullen has the task of rebuilding the brand across the board – talent, coaching, facilities, and trying to heal the damaged psyche of the Gator Nation. Mullen certainly has hit the ground running, seemingly traveling the entire state and most of the country 24/7 looking for talent, while canvassing the state and even the Florida campus at speaking engagements to resurrect support and rekindle excitement in a program that has grown stale given the offensive doldrums of two coaching disasters. He has been tireless in projecting excitement and enthusiasm to the fan base and media from day one. Mullen was able to salvage a better-than-expected 2018 recruiting class by getting key players such as WR Jacob Copeland, QB Emory Jones, and DL Malik Langham to commit or recommit to the Gators. Signing a class of 19 players with a composite national rank of 11 was a significant accomplishment, providing the impetus to start building momentum for the 2019 recruiting class, and also excitement in the fan base. Mullen has been dealt a crappy hand by the Swamp Donkey, Jim McElwain. He has the interest of many stud offensive recruits, but many are in a wait-and-see mode and simply aren’t ready to pull the trigger as they normally would for Florida until they see improvement on the field this fall. That’s a lot of pressure to begin with, exacerbated by the new Early Signing Day in mid-December, meaning there’s even more pressure to put an entertaining product on the field – quickly. There is more talent on hand on the offensive side of the ball than recent results have indicated. There is plenty of skill position talent, but if the QB position and O-Line don’t at least perform adequately, it could be another ugly product. The QB depth chart does not inspire optimism. Feleipe Franks may be mentally damaged goods along with not being a fit for Mullen’s Spread offense; Kyle Trask seemingly has the mental capacity to understand the offense but has zero college snaps; Jones has the athletic ability and familiarity with the style of offense but zero experience other than one spring practice. It’s Mullen’s job, along with the new staff, to instill confidence in the players and put them in position to succeed. Most of the attention will certainly be on his development of the QB position. His track record in developing various styles of players into productive, SEC-level QBs is undeniable, but he has a unique and challenging task to find someone in the current QB room to take the lead and perform. There is plenty of talent at the skill positions to help take some pressure off, but unless someone comes forward to provide some balance with a functional passing game and occasional effective running, this could be another disappointing season ahead, renewing the disenchantment of Gator Nation. Regarding his new coaching staff, he has assembled a nice mix of experienced and younger coaches, most of which seem to be connecting with the current players and recruits. However, there are some guys such as John Hevesy that, while a good position coach, have zero juice on the recruiting trail, forcing Mullen and others to try and pick up the slack. Mullen has chosen familiarity in some cases, but if he can’t help recruit enough elite talent at those positions, he is already hamstringing his own efforts. Hopefully he recognizes this and will make the necessary staffing decisions, if required. To his credit Mullen has soldiered through all of these negatives and question marks, employing his “relentless effort” manta to his handling of the responsibility of being the Head Coach at Florida and also embracing the pressure and expectations that come with it, instead of shrinking from them. I’ll be back in August with my season preview. 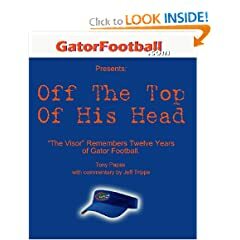 I’m hopeful Gator Nation still has some patience after the last two coaching staffs have sucked much of the life and fun out of Florida Football. Make no mistake – Dan Mullen has more rebuilding than reloading to do the next few seasons to restore the Gator brand and begin to approach the expectations not just of the fan base, but his own.